The Core Board Nominations are in! Please take the time to elect your FY 16/17 SWE-ECI Core Board by taking the survey to vote at the bottom before Friday June 10th at 8:00pm! Please review the bios of those that are interested in the Core Board below. Scroll all the way down for ballot! For position descriptions please click here. 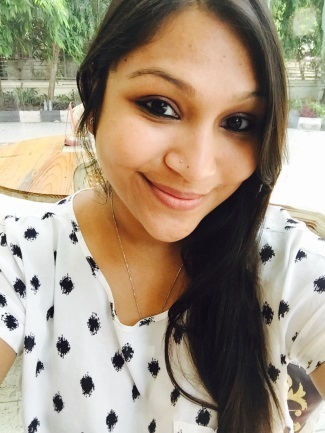 Debarati Ray is a Sr. Systems Engineer for Airline Programs supporting Mitsubishi Region Jet at Rockwell Collins. Debarati joined Rockwell Collins as a co-op in August 2010 and transitioned on to become a full-time employee after her graduation in June 2011. She graduated from Embry-Riddle Aeronautical University, Daytona Beach, Florida with a degree in Aerospace Engineering and continued on to get her MBA through University of Iowa’s Professional and Managers program. She has been involved with the SWE-ECI core-board since 2011 and has previously held the Membership, Marketing and Section Representative roles. She has helped with Region H and national award committees as well. ​Katie is an Electrical Engineer who works at Rockwell Collins. She has been active in SWE since her college years at the University of Notre Dame. She joined SWE-ECI in 2011 and has previously served as K-12 Outreach Chair where she inaugurated the popular Girl Scout Day event. 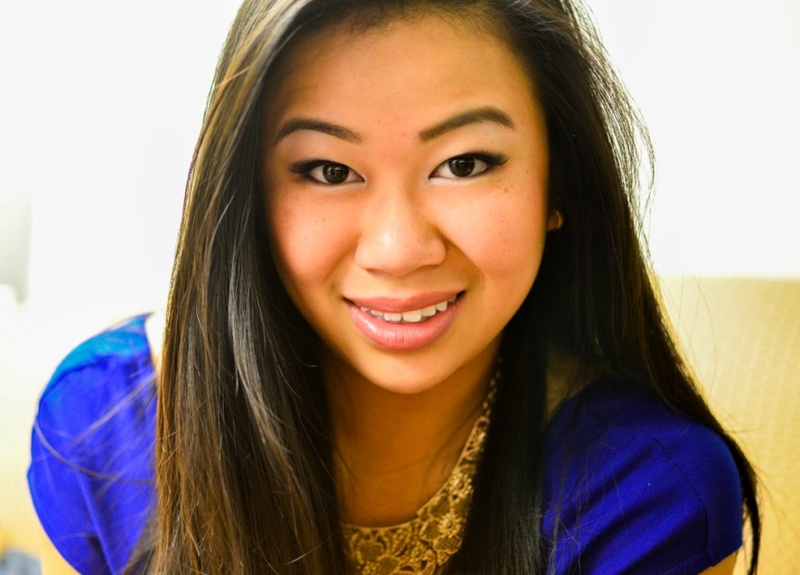 She has been treasurer for 2 ½ years and earned the Leadership Award for SWE in 2015. Katie has attended and organized numerous chapter events. She attends most conferences including the last 4 annual conferences. This year she presented at the Region H conference on how to hold a successful K-12 outreach event. Katie would like to continue as treasurer as she feels that she is good at the role and has done a good job keeping SWE’s budget the last few years. She has ensured that our grant from Rockwell Collins is kept active, allowing many of the popular events to take place. Being treasurer allows her to help in many different aspects which she enjoys. ​Katie would be open to becoming president this year. She is one of the longest tenured core board members and feels like she could bring a lot to the role. As she is currently working on her MBA, she is unsure she would have the time to commit but would be willing to make the effort. She already attends almost every event and conference, so this is the next logical step. Jill is a Project Manager for P&G Oral Care in Iowa City. She studied Mechanical Engineering at the University of Iowa where she graduated in 2013. At the University of Iowa she was very involved with the Society of Women Engineers. She held several exec board positions throughout her 4 years and rounded off with being the President her senior year. Upon graduation, Jill got involved with the local professional section, SWE-ECI, and was elected Vice President. In March 2014 Jill took over as President of SWE-ECI, when former president, Katie Morin, moved out of the area. Since Jill has maintained her presidency. Jill would love to continue being President of SWE-ECI, but due to some scheduling conflicts with many important event dates this FY she feels as though maybe someone else should take the lead. Elise is an Industrial Engineer who works at General Mills. She joined SWE-ECI in 2013 and has been active on the core board since then. She previously served at Marketing & Communications chair (2013/14-2014/15) and is the current membership chair (2015/16). This year, Elise converted our mailing lists from Google Groups to Mailchimp to allow for better tracking and organization of the lists as well as use of templates for sending out the newsletter. 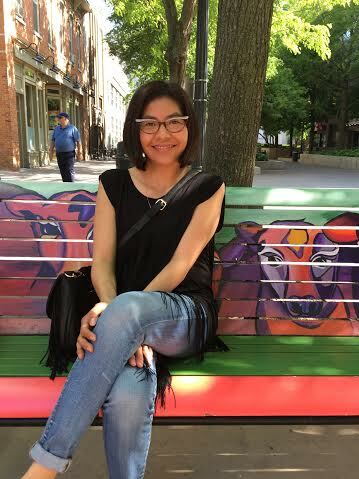 She worked with Melissa (Secretary) to convert our newsletters to Mailchimp format. 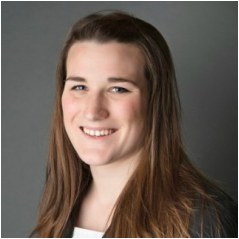 Elise would like to continue as Membership Chair and feels that she can spend next year focusing on introducing SWE-ECI to other area companies and increasing participation within companies we already have representation. She would also like to use surveys at events to better understand what kind of events attract people and how to improve our event offerings. Elise would also be happy to step into the Secretary role. She is very organized and is already familiar with Mailchimp for sending out the newsletters. She has also already had responsibility for the website as that duty fell under the marketing chair when she was in the role. High school: I helped start (and was president of) the SWE section at my high school, which was affiliated with the local professional section (North Jersey). 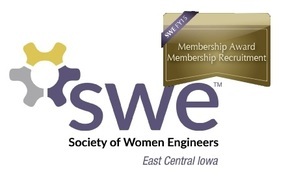 I joined SWE-ECI last fall, but have not been as involved with SWE-ECI as much as I would have liked. I think having a designated role would help that involvement. I think either marketing/communications chair or membership chair would be a great role for me, as I have held a similar role in my collegiate section. I am definitely a strong supporter of SWE, as it has been a big part of my high school and collegiate experience. Additionally, I think these roles would be a great way for me to build my network in the Eastern Central Iowa area – I moved to Iowa within the last year and am definitely looking forward to meeting new people in the area; both roles give me the opportunity to do so. Ultimately, I am looking for a way to get more involved and would be open to any opportunities available. 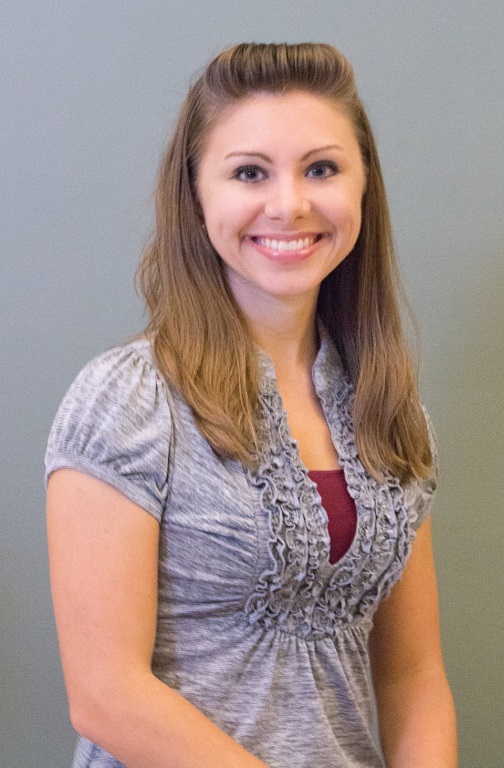 ​Melissa Plourde has been involved with SWE since 2008 when she joined as a collegiate member at Purdue University. On the Society level, Melissa was part of the Region H Nominating Committee and participated on the Awards & Recognition Committee. 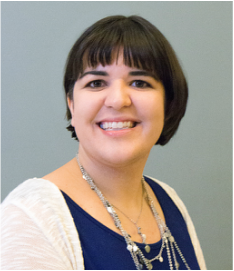 Since 2014, she has served on the Core Board of SWE East Central Iowa, including the roles of Membership Chair and Secretary. She graduated with her BS in Mechanical Engineering from Purdue University and has worked for General Mills in several manufacturing locations for the past 5 years. Melissa and her husband Jim live outside of Iowa City, and enjoy traveling and hiking with their dog Mackey. For F17, Melissa is running for Section Representative. SWE is going through a lot of governance changes, and as Section Rep, Melissa wants to be able to represent the voice of SWE ECI. She has exposure to the national SWE structure and will use this knowledge to promote within SWE the exciting activities and programs SWE-ECI has organized. There is also great involvement from the ECI section and she wants members to know what other opportunities in SWE are available to them. Kristen Wagner is a Mechanical Engineer who works at Quaker Foods & Snacks in Milling Research & Development. She has worked for Quaker for the past three years since she graduated from The University of Iowa. Kristen has been active in SWE for seven years now; four years as a Collegiate and three years as a Professional member. 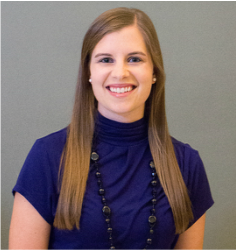 For the past three years, Kristen has fulfilled the role of College Outreach Chair for SWE-ECI, working closely with The University of Iowa SWE Collegiate Section. Aside from work and SWE, Kristen’s favorite hobbies are traveling and spending time outdoors. 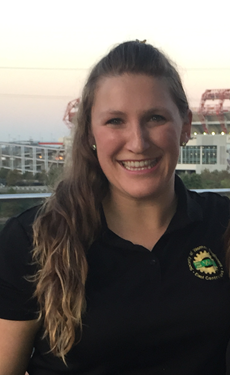 For FY 16/17, Kristen is interested in the roles of Girl Scout Day Chair and College Outreach Chair. She is interested in Girl Scout Day Chair for a change from her current position; however, this role still allows her to continue in the realm of outreach, which is one of her passions. She has assisted in planning and has volunteered the day-of for Girl Scout Day in the past. She enjoys interacting and meeting with the parents at GSD, as well as the kids, in order to find out how SWE can continue to support K-12 girls. 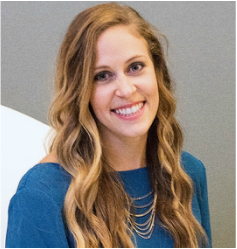 Kristen would also be pleased to continue as the SWE College Outreach Chair, as she has strong ties to UI as an alumnus and knows some of the active collegiate SWE members. Kristen takes pleasure in strengthening the bond between SWE-ECI and UI SWE. She also enjoys sharing her experiences as a professional with the collegiate members, in order to better prepare them for their own careers. Marketing – I love art and what better way to channel creativity than through advertising materials for SWE. I would love to continue being Marketing chair for SWE. If elected, I would like to spend more time advertising events through social media outlets while sustaining high quality flyers. College Outreach – Being fresh out of collegiate SWE, I would love to assist and mentor the UI SWE chapter to reaching their professional and personal goals. I can offer some advice on what worked well during my experience and what did not. I live somewhat close to the campus which makes it more convenient. I would like to be considered for the college outreach position because I have a lot of past experience in collegiate sections, because I live close to the university, and because I have a current knowledge of how their section is set up. In college I was active in SWE over four years, serving as mentorship director, secretary, then president my senior year. I would be able to attend and meet with the college students frequently since I live about 5 minutes from campus. Additionally, I attended a few events with the college this spring so I know some of the girls already and have an understanding of what events they put on and how the section is set up. ​As an active member in scouting, as well as a participant in SWE, I believe this role is a wonderful fit. In recent years, I have had the terrific opportunity to participate in mutual events three times thus far. Enabling girls to embrace and hone their talents in STEAM is the best way for us to embrace our future. Yes, even engineering is an art! I believe the skills and awareness we can teach them at these events will continue to produce great minds such as those currently in SWE for the next generation, and would love to be a part of empowering these ladies. I was born and raised in Albuquerque, New Mexico. I have been married to my husband for eight years and we have three children together. I went to the University of New Mexico to obtain my bachelor’s degree in Computer Engineering. I was hired as a software engineer in May 2006 at the Honeywell plant in Albuquerque. Currently, I work remotely from home as a full-time software engineer for the same software group (SMARTlab in Advanced Tech.) that I hired into in New Mexico. In 2013, our family moved to Iowa City so my husband, Sam, could complete his resident Anesthesia training for the University of Iowa Hospitals and Clinics. I would like to involve myself in the SWE organization. I have three children under the age of six, so I would like to dedicate myself wholly to a slightly smaller role within SWE. I believe the Special Event Coordinator positon would be a great opportunity to involve myself within the Iowa Engineer community. I can meet all the requirements listed for this position and I have the experience to stay on task and help coordinate an event as needed.